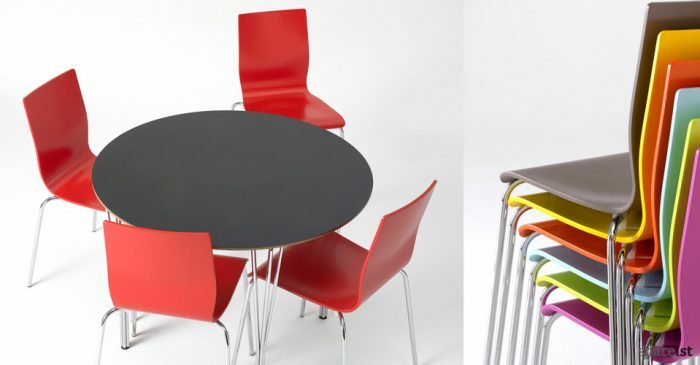 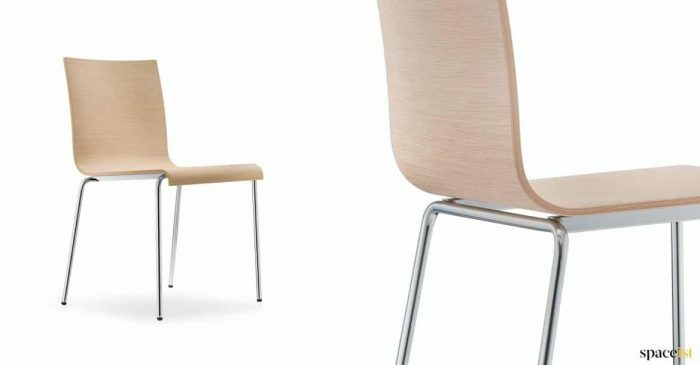 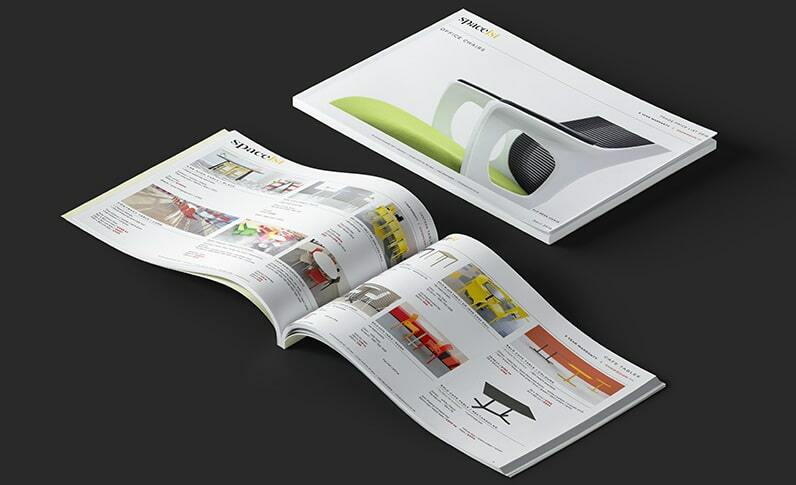 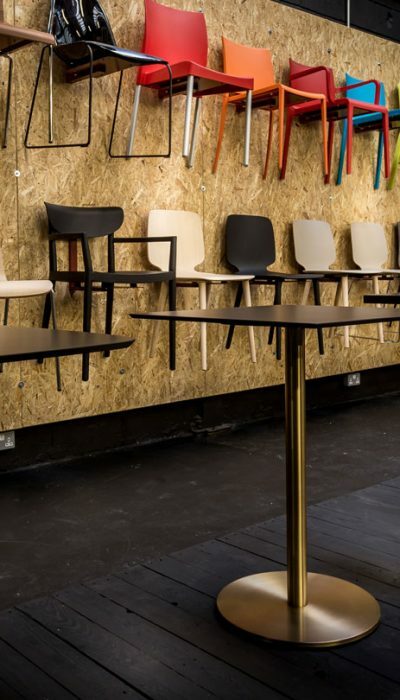 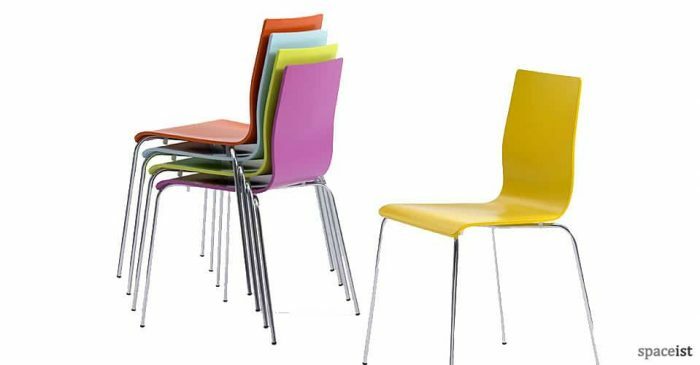 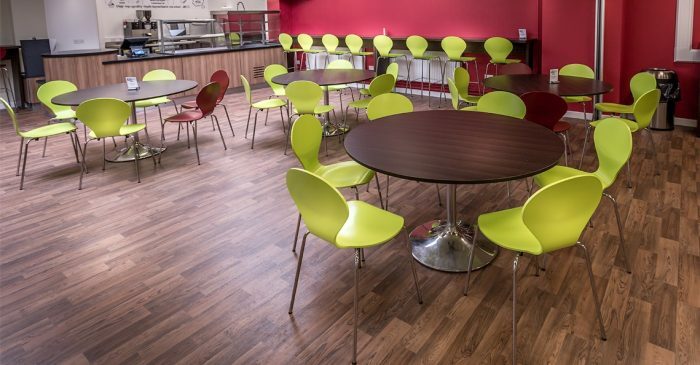 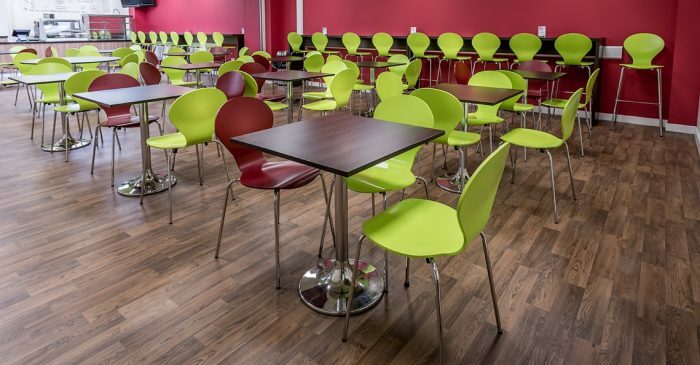 Categories: Canteen tables, New furniture, Canteen furniture, Round canteen tables. 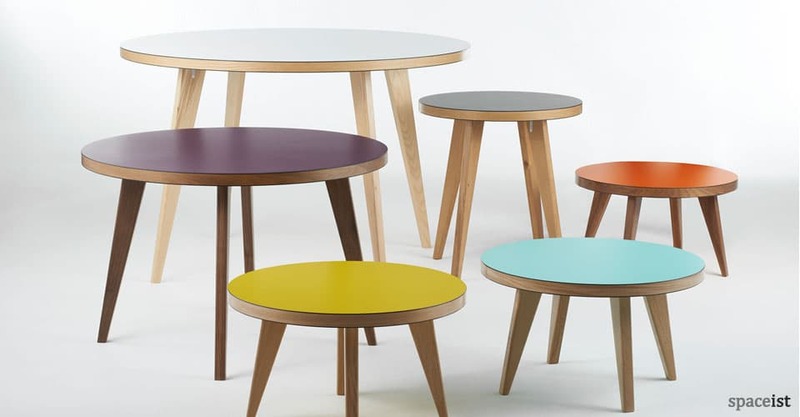 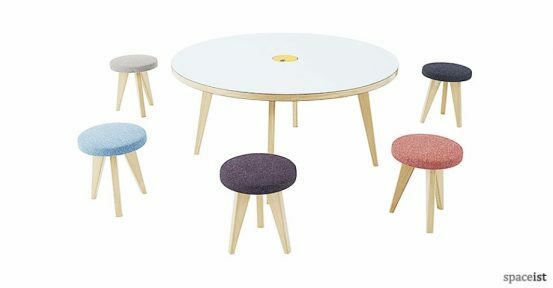 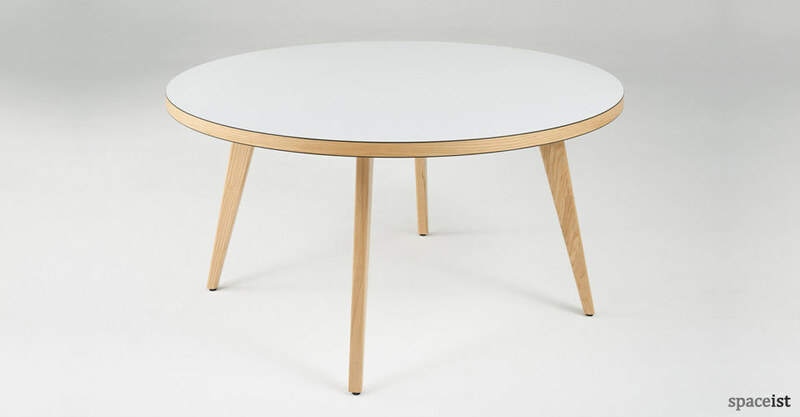 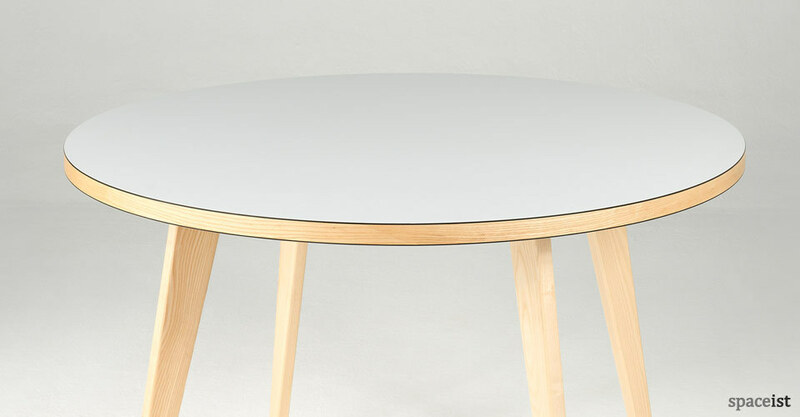 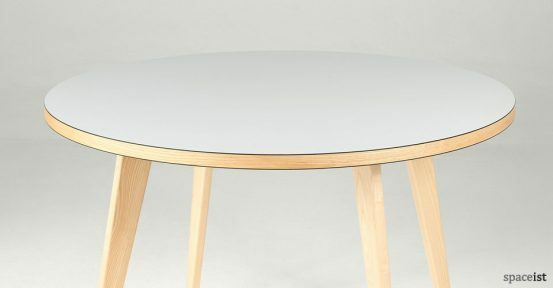 The round Jura canteen table is strong but light because of its hollow construction. 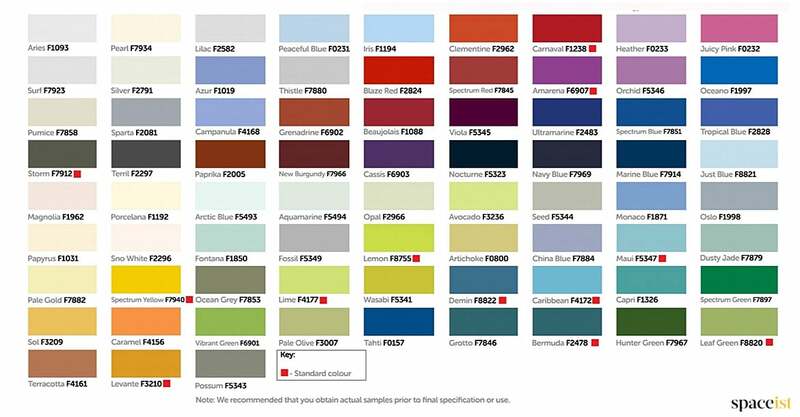 Top finishes include over 100 bright Formica laminate colours. 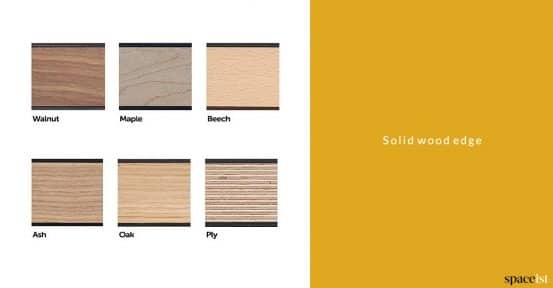 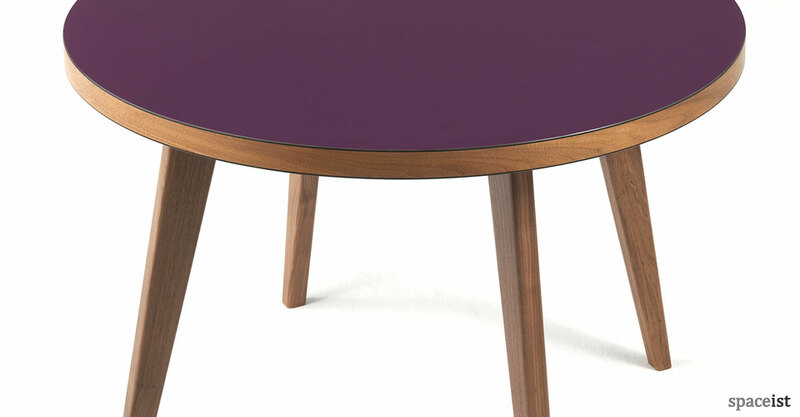 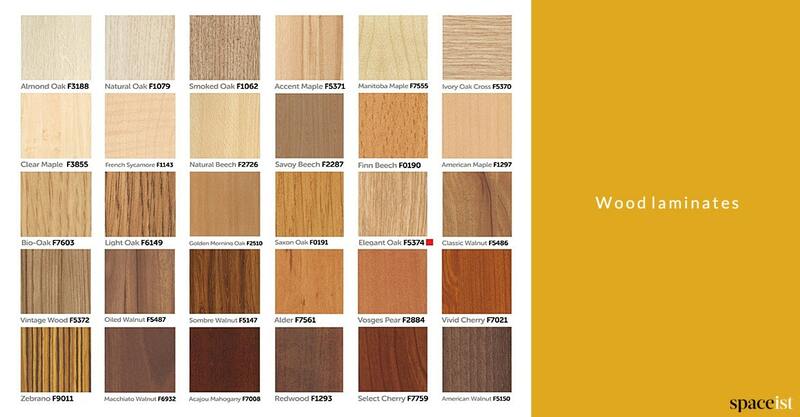 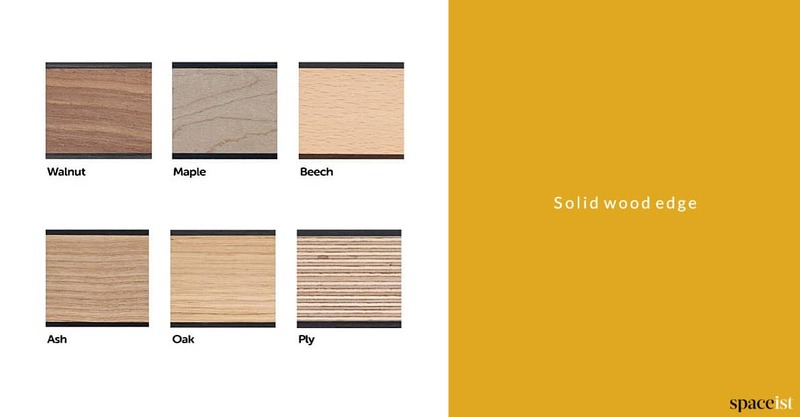 Solid edge and leg finishes include oak, walnut, ash, beech or maple.